With money already set aside for the upgrade of the toilet facilities at Kevin Walsh Oval comes the good news that Kiama’s busiest, and worst, toilet facilities are to be modernised. The Member for Kiama Gareth Ward MP has announced $650,000 in funding under the State Government’s Stronger Country Communities Fund for the toilets at the Visitor Information Centre and Kiama Surf Club to be upgraded. Both upgrades are long overdue. “The Visitor Information Centre was built to 1980’s design specifications, which have been outpaced by the growth in visitor numbers, making the current facility ill-suited to visitor profiles and requirements – so I am delighted to have secured funding for this upgrade,” says Mr Ward. A new configuration of the toilets will provide easier and extended hours of access, and is expected to increase attendance at the café and the Centre. The number of toilets will be increased fourfold. Mayor of Kiama Mark Honey agrees the $550,000 in work is needed. “The holiday traffic through the Visitor Information Centre continues to grow, with 450 people passing through on the Sunday of the long weekend alone,” he says. The upgrade of the toilets at Kiama Surf Club has been allocated $100,000. A reconfiguration of the ground floor toilets and change room will increase capacity there too. 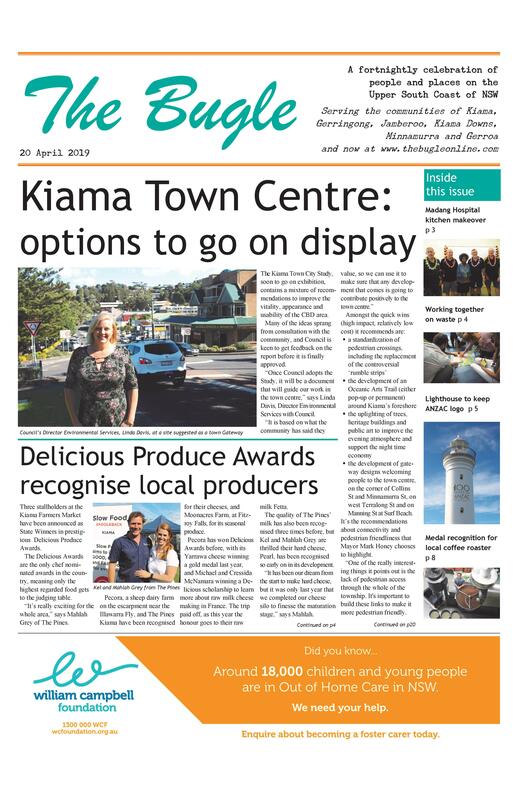 “I’d like to thank the Member for Kiama for his continued support and ability to secure funding for Kiama and our surrounds,” says Mayor Honey. Work will start after the peak summer period.